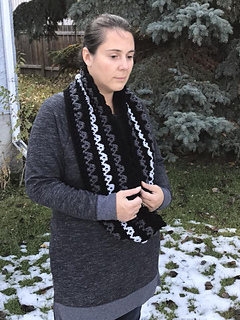 The Loop the Loop Cowl is a fun way to add a splash of color to your wardrobe this winter! 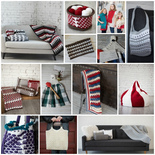 This crochet pattern is best worked with 2 or more colors to let the stitches really pop. 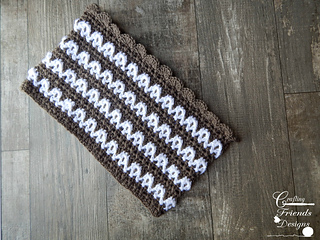 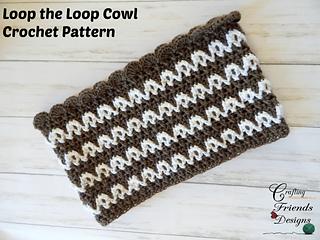 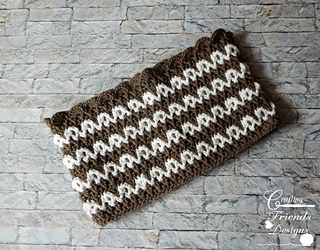 It is quick to work up and includes 3 video tutorials to help with the crochet stitch placement of the Loop the Loop stitch and following rows. 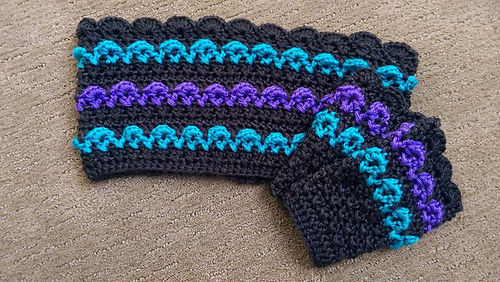 Photos showing stitch placement are on the last page of pattern and are referenced as P1, P2, P3 etc.